Adobe Ideas –iPad – freeform vector drawing app which hooks into the Adobe Creative Cloud. Profiled in Vector Drawing and Plans V Post. Adobe Illustrator – the go-to vector drawing program. A free older version for Mac OS or Windows desktop is available. Profiled in Vector Drawing and Plans V Post. Aeon Timeline – timeline app. Mac and Windows desktop. Profiled in Aeon Timeline A Post. After the Deadline – a free opensource plugin for browsers and WordPress.com, offering proof-reading functions. Profiled in Grammar and Proof Editing Apps G Post. Aldiko Reader – Android ereader app. Mentioned in Reading Offline R Post. Animate It – iPad app with web community. Create animated cartoons based on claymation techniques. Mentioned in TaDa! Presentation Apps T Post. Animation Desk – iPad app. Create animated cartoons to share. Mentioned in TaDa! Presentation Apps T Post. Autocrit – a webapp subscription service for grammar checking specifically targeting writers. Profiled in Grammar and Proof Editing Apps G Post. Awesome Note – a beautiful journaling and overall personal organiser app for iOS and Galaxy Note. Profiled in the Journaling with Evernote section of Journaling Apps – J Post. Behance App – free iOS app which collates posts from the Behance design network. Profiled in X-Factor Apps X Post. Blogsy – blogging app. iPAD. Profiled in Blogsy B Post. Bluefire Reader – Adobe DRM editions mobile ereader app. Mentioned in Reading Offline R Post. Bords – iPad – freeform brainstorming on board environment with object drawing and sticky notes. Mentioned in Kanban Apps K Post. Box – file sharing web service with mobile app support. Mentioned in Collaboration and Sharing Apps C Post. Brainsparker App – an iOS app presenting random visual or text creative sparks. Mentioned in the Unblocked with the Unstuck App U Post. Cardboard Index Cards – great index card app for Android, with inbuilt novel and task management package. Profiled in Index Card Apps I Post. Cloud Outliner –iOS app and Mac OS app – for organising and outlining, with Evernote integration. Profiled in Outlining Apps O Post. Coffee Shop Ambiances – an iOS app which holds cafe shop ambient sounds and allows playlist making, with sleep timer also. Profiled in the Latte or Expresso? L Post. Coffitivity – a webapp, iOS and Mobile apps, Mac OS desktop app for ambient cafe sounds to use for background noise. Profiled in the Latte or Expresso? L Post. Comic Life – iPad app. Comic strip or framing image app. Mentioned in TaDa! Presentation Apps T Post. Corkulous Pro –iPad. Corkboard with labels, stickers, images, notes and links and multi-level boards for making moodboards. Profiled in Project Inspiration Gathering P Post. Creately– Mac OS or Windows desktop and/or webapp – professional diagramming desktop with subscription or free options for webapp. Profiled in Vector Drawing and Plans V Post. Creative Whack Pack App – an iOS app containing 84 creative strategies. Mentioned in the Unblocked with the Unstuck App U Post. Critique Circle Tools – freeWeb membership tool for tracking and analysing writing submissions. Mentioned in Submission and Sales Tracking Apps S Post. Day One – a top rated Mac and iOS diary or journal app with multiple capture features. Profiled in Journaling Apps – J Post. Do Ink – iPad app with web community. Create animated cartoons to share. Mentioned in TaDa! Presentation Apps T Post. Doodlecast Pro – iPad app. Create animated whiteboard drawings with narration. Mentioned in TaDa! Presentation Apps T Post. Drafts – writing app with copious export options. iOS App. Profiled in Drafts for iPAD D Post. Mentioned in the Journaling with Evernote supplemental post for Journaling Apps – J Post. Draw.io – Webapp – free web-based diagramming app. Profiled in Vector Drawing and Plans V Post. Dropbox – file sharing and synchronisation. Webapp service, with mobile and desktop apps. Profiled in Collaboration and Sharing Apps C Post. Duotrope – Web subscription service for tracking and analysing writing submissions. Mentioned in Submission and Sales Tracking Apps S Post. EDraw Max– Windows desktop – professional diagramming app. Also available in separate functional packages including eDraw Mind Map which is free. Profiled in Vector Drawing and Plans V Post. Everyday Timeline– a top rated Android and iOS diary or journal app with Dropbox or Evernote sync. Profiled in Journaling Apps – J Post. Evernote – online file sharing and notebook sharing. Webapp, desktop and mobile apps. Profiled in Collaboration and Sharing Apps C Post, and in Note-taking Apps N Post. Evernote Web Clippings – profiles Evernote Web Clipper and Evernote Clearly browser extensions; The Dolphin Browser and EverClip apps for iOS and Android. #E4W cross-post. Journaling with Evernote is a supplement to the #26Tech Journaling Apps – J Post. Several manual methods are discussed, and several apps – Drafts for iPAD, Everyday Timeline, Wonderful Days (iPhone), Journal for Evernote (iOS), PostEver2 (Android and iOS), EverLog (iPhone), Awesome Note (iOS and Galaxy Note). Evernote for content curation before creating a moodboard for a project. Discussed in Project Inspiration Gathering P Post. Using Evernote for a Quotes, Excerpt or Citation Collection is a supplement to the #26Tech Quotes Collections Q Post. It not only deals with several manual ways to collect quotes but also lists methods for getting Kindle comments or book excerpts into Evernote, and lists other iOS apps good for managing citations – such as eHighLighter, Clipbook or ReferenceMe. Reading PDF documents inline within an Evernote – discussed in Reading Offline R Post. Using Evernote for Keeping Track of Writing or Creative Submissions– is a supplement to #26Tech Submission and Sales Tracking Apps S Post. Shows mocked up workflows and screenshots for tracking submissions in a manual note stack. How to Create a X-Factor Visual Inspiration Board in Evernote – in X-Factor Apps X Post. Explain Everything – iOS and Android app. Create narrated tutorial or explanation videos over a whiteboard drawing or image background. Mentioned in TaDa! Presentation Apps T Post. Feedly – webapp service with mobile apps. RSS Feed reader for blog post and website reading, integrated with social media, Pocket, Buffer and other apps. Profiled in Reading Offline R Post. Mentioned in Project Inspiration Gathering P Post and for daily visual x-factor inspiration in X-Factor Apps X Post. Flipboard – iPAD app – magazine style news reading. Mentioned for daily visual x-factor inspiration in X-Factor Apps X Post. Flowboard– iPAD app with cloud storage support– create and share slideshows with embedded videos or PDFs. Profiled in TaDa! Presentation Apps T Post. Ginger – Windows plugin, Android and Browser Extension subscription service for grammar checking. Profiled in Grammar and Proof Editing Apps G Post. Gliffy – Webapp – subscription Flash-based web diagramming app offering collaborative team functions. Profiled in Vector Drawing and Plans V Post. GoodReader App – for iPAD. Manage office documents (MS Office and iWorks) and annotate PDFs. Profiled in Reading Offline R Post. Google Drive – file sharing and collaboration of Google docs. Webapp service, with mobile apps. Profiled in Collaboration and Sharing Apps C Post. Google Keep – Google’s overall note-taking app – web cloud service via GoogleDrive, android mobile apps, Chrome extension. Profiled in Note-taking Apps N Post. Grammarly – a webapp subscription service for grammar checking. Profiled in Grammar and Proof Editing Apps G Post. Grid– iPhone or iPAD app. Visual display of images and notes, great for some content curation. Discussed in Project Inspiration Gathering P Post. HabitRPG – a webapp with Android and iOS apps. Gamefication of habit and task tracking – earn rewards and trophies for tasks done. Profiled in Habit Tracking Apps – H Post. Haiku Deck – webapp and iPad app – create and share slideshows using getty images. Profiled in TaDa! Presentation Apps T Post. Hightail – file sharing web service. Mentioned in Collaboration and Sharing Apps C Post. iBooks App – mobile (iOS only) and Mac ereader app from Apple. Profiled in Reading Offline R Post. iCardSort – an iOS app which allows stickynote cards to be put onto various boards including a kanban swimlane board. Profiled in Kanban Apps K Post. Idea Generator App – an iOS or Android app (two apps not linked, but with the same name) – both provide randomly generated word sparks. Mentioned in the Unblocked with the Unstuck App U Post. Idea Sketch App – iOS, Windows 8, Windows Phone – a brainstorming diagraming app where maps can be converted to outlines. Profiled in Outlining Apps O Post. iDesign –iOS app – vector drawing app good for line drawings such as floor plans. Profiled in Vector Drawing and Plans V Post. iDraw – Mac OS and iOS iPAD vector drawing app. Profiled in Vector Drawing and Plans V Post. iMockups for iPad –iPad – vector wireframe drawing app for creating website mockups. Profiled in Vector Drawing and Plans V Post. Index Card – an app for iPAD or iPhone. Index Carding at its best. Profiled in Index Card Apps I Post. Inkbyte Tracker – very oldWindows or Mac OS Desktop App for tracking and analysing writing submissions. Profiled in Submission and Sales Tracking Apps S Post. Inkpad –iPad – free vector drawing app. Profiled in Vector Drawing and Plans V Post. Inkscape – free opensource Mac OS or Windows desktop vector drawing app. Profiled in Vector Drawing and Plans V Post. Innovate – free iPhone app which collates posts from several inspirational websites. Profiled in X-Factor Apps X Post. Instapaper – mobile apps, webapp with bookmarklet and app integration. Read posts later and offline (in mobile apps). Send to social media. Mentioned in Reading Offline R Post. iThoughts – an iOS app for making mindmaps. Profiled in Mindmapping Apps M Post. iZen Garden – an iOS app which lets you play with zen garden making, and listen to meditative music. Profiled in iZen Garden Z Post. KanbanFlow – a webapp free and premium service for kanban task management with a pomodoro timer. Profiled in Kanban Apps K Post. KanbanPlan – a mobile app with webapp support for parents and teachers. Kanban task management with a rewards, meant to be for kids, but fun for adults also. A pomodoro timer is included. Profiled in Kanban Apps K Post. Keynote – Apple’s presentation slideshow app– create and share slideshows. Mentioned in TaDa! Presentation Apps T Post. Kindle App – mobile and desktop ereader app from Amazon. Profiled in Reading Offline R Post. Kobo App – mobile ereader app from Kobo. Profiled in Reading Offline R Post. LeanKit – a webapp (with mobile apps) free and premium service for kanban task and team management, with collaborative features. Profiled in Kanban Apps K Post. Life Journal – Windows desktop and Webapp cloud storage diary or journal app with plugin packages for writing prompts. Profiled in Journaling Apps – J Post. Lino – webapp with Android, iOS and Windows desktop support apps. Post stickies which can include documents and images to a wall, and socially share – with reminder functions. Profiled in You’re on the Wall! Y Post. Liquid Story Binder XE – overall Windows writing app.Mentioned as a Scrivener alternative in Favourite [Writing App] – F Post. Listly – social media webapp with mobile apps. Great for list-making curation.Discussed in Project Inspiration Gathering P Post. Mentioned in You’re on the Wall! Y Post. Longform – a webapp and iOS ereader app for longform magazine style articles. Mentioned in Reading Offline R Post. Longreads – community web and subscription service for longform writing works of many types. Mentioned in Reading Offline R Post. LiveMinutes – collaborative meetings and work on many different documents including Evernote. Webapp/Conference service. Profiled in Collaboration and Sharing Apps C Post. Mac Journal – Mac OS desktop diary or journal app with exports to blogging platforms. Profiled in Journaling Apps – J Post. Magical Pad – iOS, coming to Mac – combination outliner, notebooks, hand-drawing, mindmaps. Briefly profiled in Outlining Apps O Post, mentioned in Mindmapping Apps M Post. MindNode – a Mac OS and iOS app for making mindmaps. Profiled in Mindmapping Apps M Post. Mem:o – an iOS app. Track anything you like (ie books read, wordcount) in a graphical interface. Profiled in Habit Tracking Apps – H Post. Methodology – an iOS app which provides random creativity flashcards. Mentioned in the Unblocked with the Unstuck App U Post. Moodboard App –iPad. Corkboard with labels, images, and colour swathes for making moodboards. Profiled in Project Inspiration Gathering P Post. Mural.ly – project corkboard and collaboration features. Webapp and mobile apps. Profiled in You’re on the Wall! Y Post. Mentioned in Collaboration and Sharing Apps C Post and for making project inspiration or moodboards in Project Inspiration Gathering P Post. NaNoProgress – Android app – a writing word count tracker status bar. Profiled in Wordcount Apps W Post. Nook App – mobile ereader app from Barnes and Noble. Profiled in Reading Offline R Post. O-Flow App – an iOS app containing over 150 creative technique cards. Mentioned in the Unblocked with the Unstuck App U Post. OmniGraffle – Mac OS and iPAD app – professional diagramming app. Profiled in Vector Drawing and Plans V Post. OmniOutliner 4 – Mac OS and iOS iPAD app for organising and outlining. Profiled in Outlining Apps O Post. OneNote – Microsoft’s overall note-taking app – web cloud service via OneDrive, mobile apps, Windows and Mac desktop. Profiled in Note-taking Apps N Post. Also profiled as an outliner in Outlining Apps O Post. Outline 4D – Windows desktop app for organising a new fictional concept. Profiled in Outlining Apps O Post. Outline+ – iPAD app and Mac OS app – for organising and outlining, with MS OneNote integration. Profiled in Outlining Apps O Post. Outline Pro – iPAD and iPhone app – for organising and outlining, with sectionising of notes. Profiled in Outlining Apps O Post. Outliner – iPAD and iPhone app with Webapp – for organising and outlining, with Dropbox support and storage in cloud. Profiled in Outlining Apps O Post. Padlet – webapp with chrome and wordpress extensions. Post images and notes to a wall, and socially share – with collaborative features. Profiled in You’re on the Wall! Y Post. PageFour – overall Windows writing app. Mentioned as a Scrivener alternative in Favourite [Writing App] – F Post. Paper.li –social media webapp. Find and share content and news from social media feeds. Mentioned in Project Inspiration Gathering P Post. PaperRater – a webapp free service for grammar checking. Profiled in Grammar and Proof Editing Apps G Post. Phraseology – iOS App – text editor with text analytics inspection mode. Profiled in Grammar and Proof Editing Apps G Post. Pic Collage –iOS and Android. Fun image and sticker collage app for making moodboards. Profiled in Project Inspiration Gathering P Post. Mentioned in TaDa! Presentation Apps T Post. 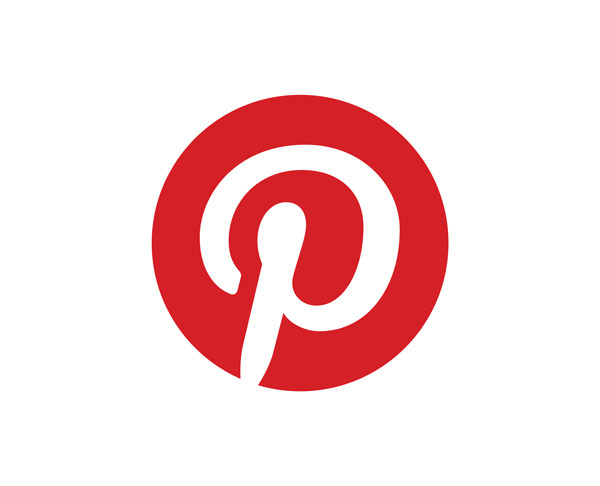 Pinterest – social media webapp with mobile apps. Great for visual content curation and moodboard making.Discussed in Project Inspiration Gathering P Post. Mentioned for daily visual x-factor inspiration in X-Factor Apps X Post. Plotline – iOS app – for concept outlining for fiction. Profiled in Outlining Apps O Post. Pocket – mobile apps, webapp with bookmarklet and app integration. Read posts later and offline (in mobile apps). Send to social media. Profiled in Reading Offline R Post and for daily reading x-factor inspiration in X-Factor Apps X Post. Popplet– webapp with iPAD app in support – create and share zoom-in mindmap type presentation boards with a slideshow function. Profiled in TaDa! Presentation Apps T Post. Mentioned in You’re on the Wall! Y Post. PowerPoint –desktop and web. MS Powerpoint has some decent graphic and image functions for making project boards with. Mentioned in Project Inspiration Gathering P Post and TaDa! Presentation Apps T Post. Power Structure – Windows and Mac desktop app for organising a new novel or screenwriting fictional concept. Profiled in Outlining Apps O Post. Prezi – webapp with Windows, Mac OS desktop and iOS apps in support – create and share embeddable zoom-in presentation boards with a slideshow function. Profiled in TaDa! Presentation Apps T Post. Mentioned in You’re on the Wall! Y Post. Pro Writing Aid – a free opensource plugin for Word and webapp offering proof-reading functions. Profiled in Grammar and Proof Editing Apps G Post. Quip – collaborative workspace for writers. Webapp and mobile apps. Profiled in #52Tech Quip Post. Mentioned in Collaboration and Sharing Apps C Post. QuoteBook – iOS App – great quote collector which copies from iOS clipboard. Profiled in Quotes Collections Q Post. Quotes Folder – iOS App – database of 15,000 quotes, plus input your own. Mentioned in Quotes Collections Q Post. Rainy Cafe – a webapp which lets you listen to a coffee shop or rain sound (or both). Profiled in the Latte or Expresso? L Post. Readability – mobile apps, webapp with bookmarklet and app integration. Read posts later and offline (in mobile apps). Send to social media. Mentioned in Reading Offline R Post. Rooster – an iPhone ereader app and subscription service for delivering serialised novels to read during short breaks. Mentioned in Reading Offline R Post. Ruminate – iOS – combination outliner with mindmaps, and citation/reference collection and organisation. Briefly profiled in Outlining Apps O Post, mentioned in Mindmapping Apps M Post. Scapple –Windows and Mac desktop. Freeform mindmapping and brainstorming app with Scrivener integration. Profiled in Project Inspiration Gathering P Post and Outlining Apps O Post. Scoop.it!– social media webapp with bookmarklets. Find and share content and news from the web. Mentioned in Project Inspiration Gathering P Post. Screenchomp – iOS app. Create narrated tutorial or explanation videos over a whiteboard drawing or image background. Profiled in TaDa! Presentation Apps T Post. Scrivener – overall writing project organisation and editing app. Windows and Mac OS desktop app, with compatibility with a few other apps, including Scapple. Profiled in Favourite [Writing App] – F Post. Scapple and Scrivener are detailed as outlining apps in Outlining Apps O Post. SimpleMind – a Windows desktop, Mac OS and iOS or Android app for making mindmaps. Profiled in Mindmapping Apps M Post. Skitch – Evernote’s standalone and in-app image (and PDF) annotation markup app (Mac and Windows desktop, iOS apps, Android). Profiled in TaDa! Presentation Apps T Post. Slideshare – social webapp and embeddable slide shows and documents. Profiled in TaDa! Presentation Apps T Post. Slideshark – iOS app– present powerpoint slideshows via your iPad using an iPhone as a remote. Mentioned in TaDa! Presentation Apps T Post. SmartDraw– Mac OS or Windows desktop with web service – professional diagramming app. Profiled in Vector Drawing and Plans V Post. SmartEdit – Plugin for Word and Windows App– text proof-editing analytics. Profiled in Grammar and Proof Editing Apps G Post. Smore – webapp subscription and free service. Create beautiful flyers and posters via drag and drop graphics functions and templates. Profiled in TaDa! Presentation Apps T Post. Sonar 3 – Windows or Linus Desktop App for tracking and analysing writing submissions. Profiled in Submission and Sales Tracking Apps S Post. Soundrown – a webapp which has, among others, a coffee shop sound to listen to. Profiled in the Latte or Expresso? L Post. Springpad – overall notetaking and personal assistant app – web cloud service, mobile apps. Profiled in Note-taking Apps N Post. Storehouse – iPad app and webapp community. Create beautiful multimedia stories to share with the storehouse community. Mentioned in TaDa! Presentation Apps T Post. Storify –social media webapp with bookmarklets. Find and share content and news from the web as a story. Mentioned in Project Inspiration Gathering P Post. Storybook – free opensource writing app for Windows or Linux. Mentioned as a Scrivener alternative in Favourite [Writing App] – F Post. Story Skeleton – an iOS novel structure app which imports/exports Scrivener files. Previously profiled in the #52Tech post here. Profiled in Index Card Apps I Post. Mentioned in Outlining Apps O Post. Story Tracker and Artwork Tracker – iOS or Mac OS appsfor tracking and analysing writing or artwork submissions. Profiled in Submission and Sales Tracking Apps S Post. Strip Design – iPad app. Comic strip or framing image app. Mentioned in TaDa! Presentation Apps T Post. StyleWriter4 – Plugin for Word and App– text proof-editing analytics. Profiled in Grammar and Proof Editing Apps G Post. SuperNoteCard and SuperNoteCard for Scriptwriting– Windows, MacOS and Linux desktop app with Cloud storage and webapp for premium. with feature-rich index carding with a text editor also. Profiled in Index Card Apps I Post. Taskboard – iPAD app free. Setup lists and drag cards across the board. Mentioned in Kanban Apps K Post. TED App – free iOS app which collates posts and videos from the TED conferences. Profiled in X-Factor Apps X Post. Terminology – iOS App – Dictionary. Profiled in Grammar and Proof Editing Apps G Post. Text Analyzer – Mac and iOS App – text analytics. Profiled in Grammar and Proof Editing Apps G Post. Text Block Writer– free Windows app for index carding. Mentioned in Index Card Apps I Post. The Journal – Windows desktop diary or journal app with plugin packages for writing prompts. Profiled in Journaling Apps – J Post. The Outliner of Giants – Webapp with desktop support– for organising and outlining. Profiled in Outlining Apps O Post. The Writer’s Progress Bar – Android app with widget – a writing word count tracker status bar. Profiled in Wordcount Apps W Post. The Writer’s Scribe – Windows or Mac OS Desktop App or iOS App for tracking and analysing writing submissions. Profiled in Submission and Sales Tracking Apps S Post. ThingLink – webapp and iOS. Createhotspot multimedia on top of images, embeddable.Profiled in TaDa! Presentation Apps T Post. Throughline Interactive Index Cards – Windows app for index carding. Mentioned in Index Card Apps I Post. Toontastic – iPad app with web community. Create animated cartoons based on sticker elements, to share. Mentioned in TaDa! Presentation Apps T Post. TouchDraw –iPad and Android apps– vector drawing app with diagramming templates. Profiled in Vector Drawing and Plans V Post. Trackerbox – Windows app for tracking and analysing book sales returns from multiple retail sites such as Amazon, iBooks, Nook etc. Profiled in Submission and Sales Tracking Apps S Post. Trello – swimlane task boards with collaborative features. Webapp and mobile apps. Profiled in Kanban Apps K Post. Mentioned in Collaboration and Sharing Apps C Post and You’re on the Wall! Y Post. Unstuck App – an iPad app designed to lead someone through a creative block, problem or decision with a series of interactive questions and exercises. Profiled in the Unblocked with the Unstuck App U Post. Visio– Mac OS or Windows desktop professional diagramming app. Profiled in Vector Drawing and Plans V Post. Viz (Vizualize) – iPad app – great for making project inspiration or moodboards or presentations with images, stickers etc. Mentioned in Project Inspiration Gathering P Post and Tada! Presentation Apps T Post. Vook Author Control – Web app for tracking and analysing book sales returns from multiple retail sites such as Amazon, iBooks, Nook etc. First 10 books to track are free. Profiled in Submission and Sales Tracking Apps S Post. Wattpad – a social web community with mobile apps for reading serialised or installment novels and stories. Mentioned in Reading Offline R Post. WeTransfer – file sharing web service. Mentioned in Collaboration and Sharing Apps C Post. WhiteSmoke – Plugin for Word and Windows App– leading text proof-editing analytics. Profiled in Grammar and Proof Editing Apps G Post. Wonderful Days – a beautiful journaling app for iPhone. Profiled in the Journaling with Evernote section of Journaling Apps – J Post. Word Count Dashboard – Mac app and iPAD app – a writing project session and word count tracker displayed on a dashboard. Profiled in Wordcount Apps W Post. Word Tracker –iOS app for setting and tracking word count for writing projects, and timing session writing times. Profiled in Habit Tracking Apps – H Post and Wordcount Apps W Post. Workflowy – Webapp with IOS app, Desktop App via Chrome – for organising and outlining. Profiled in Outlining Apps O Post. WriteChain – a free iPhone app for setting and tracking word goals, and not breaking the chain. Profiled in Habit Tracking Apps – H Post and Wordcount Apps W Post. WriteOMeter – Android app – a writing project session and word count tracker displayed as a logbook. Profiled in Wordcount Apps W Post. Write on Track – an iOS app for setting and tracking word goals for writing projects. Profiled in Habit Tracking Apps – H Post and Wordcount Apps W Post. Writer’s Blocks and Writer’s Blocks Essence – a Windows desktop app with feature-rich index carding with a text editor also. Profiled in Index Card Apps I Post. Writer’s Cafe – overall Windows, Linux and Mac writing app. Mentioned as a Scrivener alternative in Favourite [Writing App] – F Post. Writer’s Database – freeWeb membership tool for tracking and analysing writing submissions. Mentioned in Submission and Sales Tracking Apps S Post. WriteWay Pro – overall Windows writing app. Mentioned as a Scrivener alternative in Favourite [Writing App] – F Post. yWriter – overall free Windows and Linux writing app. Mentioned as a Scrivener alternative in Favourite [Writing App] – F Post. Thanks for putting this list together all in one post. I am bookmarking this for future reference.